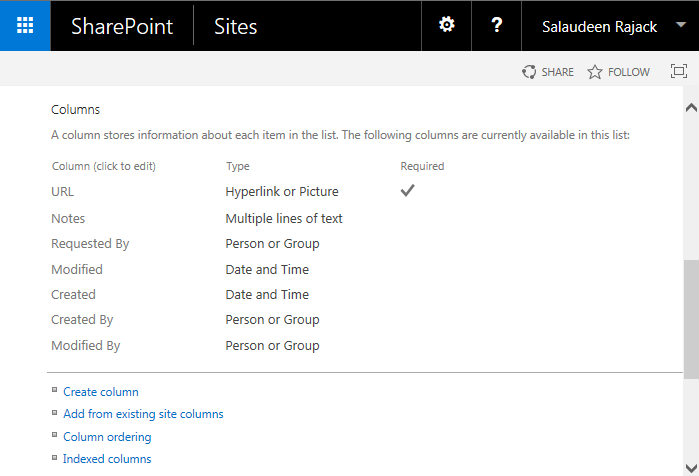 Requirement: Get all Fields from a SharePoint list using PowerShell. Write-Host "Field Name | Internal Name | Type"
This PowerShell script gets all column names, internal name and column types from the given SharePoint list! How we can get the searchable columns list as a report like web application or sub site level? I searched the properties but not getting. Any suggestion!! Thank you! This was a great time-saver for me.